Now is the time to begin planning your vacation to the Caribbean's Leeward Islands and this new edition of the Vendôme Guide is the perfect place to start! 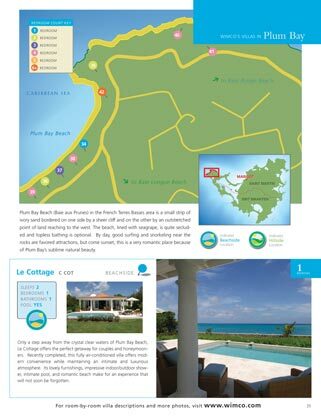 The guide offers our Insider's Tips on the best activities and sites in each destination, and has scores of detailed maps showing the location of our villas in St Martin, Anguilla or Nevis. Order your copy now, or call 800-449-1553 to talk to a destination specialist about your vacation plans. Click on an image and scroll down to see select pages from our newest guide.